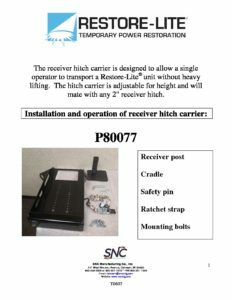 The receiver hitch carrier allows a single operator to transport a RESTORE-LITE® unit without the need for heavy lifting. The hitch carrier is adjustable for varying heights and mates with any 2-inch receiver hitch. 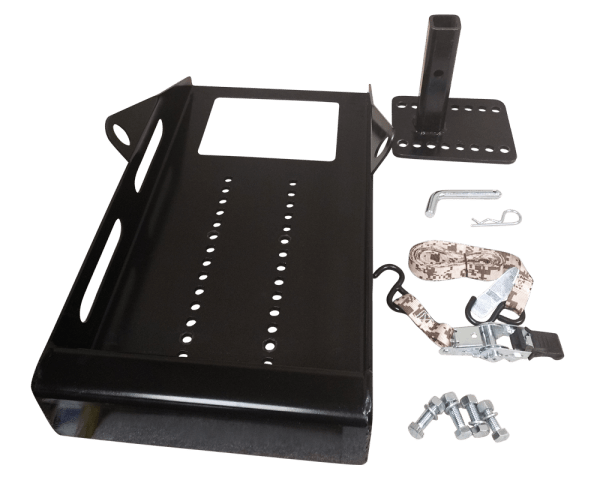 The receiver hitch carrier is designed to allow a single operator to transport a Restore-Lite® unit without heavy lifting. 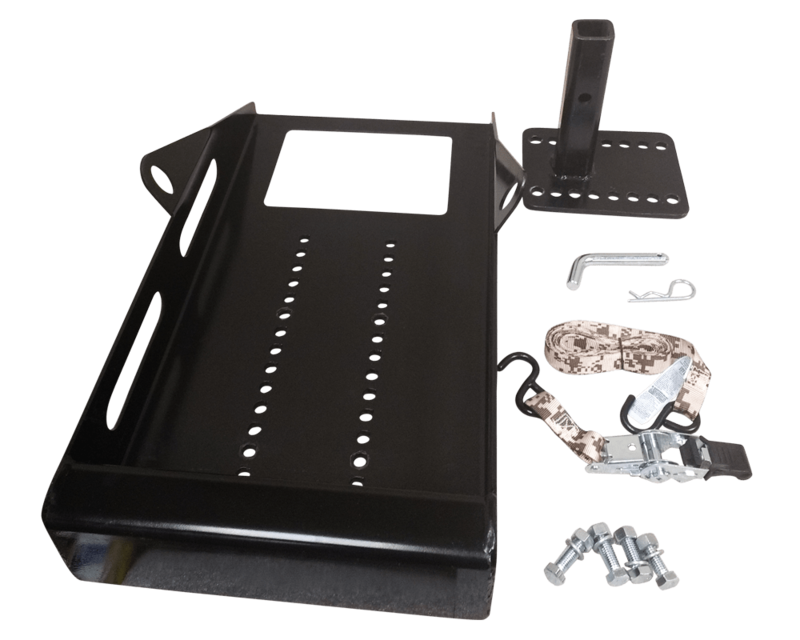 The hitch carrier is adjustable for height and will mate with any 2" receiver hitch.